Can Unity and Dissent Coexist within Our Exile Movement? In recent times, unity has become the buzzword of our movement. This renewed emphasis on Chikde and Thundrel originally came from within Tibet in the aftermath of the 2008 pan-Tibetan uprising. And later as we know, it featured, among other things, in the troika of slogans under which the incumbent Sikyong ran his successful election campaign in 2010-11. But of late, I get the feeling that the word unity, and the sentiments associated with it, are being overused and often wrongly invoked in a bid to silence alternative views and dissent within our exile movement, and, most importantly, to brush under the carpet certain issues, which we as a nation need to seriously reflect upon. The Tibetan Parliament and parts of our exile leadership have publicly and repeatedly condemned, what they believe to be, a handful of ill intentioned and misinformed individuals for trying to stir up disharmony and unrest within our community. They have often justified such public condemnations by citing the distress such individuals and their partisan views are causing to Kundun and by repetitively stressing the need for unity in our community. I think our representatives in Dharamsala would be doing a great disservice to our cause if, in the name of upholding community cohesion and unity, they keep issuing, what are in essence, emotionally couched gagging orders and continue employing measures, subtle and otherwise, to stifle alternative views and narratives. I say this for two important reasons. Firstly, such pronouncements and measures on the part of the CTA, no matter how paternalistic, have the unintended consequence of negating all the headway that we, as a democratic society, have made in the past 50 years. They tarnish the CTA’s projected image of a genuinely democratic entity and give ammunition to our critics who are always scouring for pretexts to depict our exile democracy as a sham engineered by the “Dalai Clique”. Secondly, such decrees and official strategies almost invariably have the contrary effect of creating more rifts and fault lines in our society, which, to be honest, has already more than its fair share of regional and sectarian divides to contend with. This is because a majority of Tibetans in exile, whether by design or accident, are subservient conformists for whom every official word coming from Dharamsala is a command from which no one must digress. This conformist majority, though, is not always content with being conformist itself; buoyed by a warped sense of loyalty and patriotism, a section of it often feels the urge to pressure and coerce non-conformist minorities in to following suit. And when those belonging to these minorities persist with their original belief/thought and refuse to conform, they are turned into social pariahs and outcasts in their own community. The result is usually further compartmentalization and division of our society, and that too at a very high cost to our cause. Our leadership frequently encourages dialogue and engagement with Chinese scholars and students; many of who persistently regurgitate the party line on Tibet and downplay the grievances of our people from the very word go. No matter how frustrating the entire exercise often turns out to be, we soldier on with this engagement project for we hope that doing so will help build bridges between the two nations, and win support for our cause. This is all well and good, but what aggrieves me is that our frequently extoled virtues of patience and tolerance that we extravagantly display vis-à-vis our Chinese brothers and sisters somehow completely dissipate when it comes to individuals and groups in our own community who subscribe to alternative beliefs and ideologies. Our efforts at reconciliation with our Chinese brethren seem to know no bounds but sadly mending crumbling fences within our community does not even feature in our list of priorities. This dispassionate attitude towards our own people has resulted in at least one religious splinter group losing its entire stake in our exile movement. It is true that some of its prominent members have subsequently cozied up to the Chinese government to further their selfish ends, but I am quite sure that there are many innocent and morally upright Tibetans within this subgroup who have no involvement whatsoever with the Chinese state, yet their fate hangs in balance just because they are unable to give up on their beliefs- beliefs which we deem regressive while conveniently forgetting a multitude of inane rituals and superstitions that we ourselves engage in on a daily basis. The sad reality is that people wielding influence within such splinter groups always emerge unscathed, sometimes even better off as a result of such rifts in our community. Historically, leaders of similar dissenting religious factions and their entourages have often turned east to whatever regime ruling China at the time for support and benefaction; most of them have unabashedly compromised Tibet’s sovereignty and independence for personal gains, riches and meagre luxuries, and left in their wake thousands of ordinary Tibetans with split loyalties and confused mindsets. Whilst I do not condone the traitorous activities of some of the Tibetans belonging to the aforementioned religious faction, a part of me believes that if we as a society had dealt with the entire issue rationally to start with, with our long term national interest in mind, and guaranteed these Tibetans ample space to practice their private beliefs, notwithstanding their absurdity, in the spirit of mutual respect and tolerance instead of alienating and boycotting them, then perhaps things could have been different. This was/is a sad affair and lessons must be learnt from it or else our community will disintegrate further into groups and factions that do not see eye to eye and avoid engaging with one another within our existing democratic institutions. Our scorn and contempt are now increasingly directed towards those few Tibetans who pursue political goals contrary to the mainstream, and especially towards those who employ their critical faculties to initiate open debate on various issues and events affecting our nation. Despite the constant barrage of criticism they have faced over the years, what I find admirable is that these individuals have remained true to their stated mission. They are often the first to point out the flaws and failings of our political elite, and also the first to prompt clarifications from the latter. We do no have a party system in exile but I think these individuals, together with organizations like the Tibetan Youth Congress (TYC) and the Students for a Free Tibet (SFT), play a role analogous to the opposition in various liberal democracies. Naturally, our political elite and a vocal section of the conformist majority in exile consider them a nuisance, for they are the ones keeping our leaders on their toes all the time. One might not agree with all their insinuations but one must acknowledge their contribution, however small, in fortifying our fledging democracy. As I write this piece, debates and discussions touching upon various current issues and events in the Tibetan world are occurring all over the Internet and popular social media sites. We must concede that many such online discussions turn downright malicious and end up becoming overtly acrimonious but then again an increasing number of them also feature valuable insights and opinions from Tibetans of varying political creed and persuasion. The Internet has provided an avenue for unprecedented and unfettered freedom of expression for ordinary Tibetans, which, in my opinion, can only be good for our cause. It has spawned a free market of diverse ideas and views in our community, and is helping create a generation of politically cognizant and articulate Tibetans. But this has, as expected, ruffled a few feathers in our conservative society. A section of it has now come to believe that certain elements of “western” democracy that we aspire to like, for instance, the freedom to question anything and anyone are at odds with our “Tibetan values”. There are individuals among us who now profess the view that the democracy we embrace should be configured in a manner which conforms to our traditional norms and cultural sensibilities. Someone has even coined the term “Democracy with Tibetan Characteristics” (an ironic spin-off of the euphemism “Socialism with Chinese Characteristics” that the CCP employs to mask its ideological bankruptcy) to describe a Tibetanized version of democracy, wherein certain subject matters are held sacrosanct and considered off limits for debate and criticism. Invariably, these subject matters turn out to be precisely the ones, which require collective introspection since they often have far-reaching national implications. The line of argument proffered is strikingly similarly to the one adduced to by the PRC and some South East Asian states to justify their authoritarian governance and to challenge the universality of human rights and individual freedoms. Leaders of these countries frequently seek to defend their blatant disregard for civil and political liberties by insisting that they are somehow incompatible with their “Asian Values”, and unsuited to the ethos of societies they represent. What is unsettling is that we, as Tibetans, almost instinctively swear by the inviolability of the “western” notions of rights and freedoms when it comes to challenging Chinese occupation of Tibet and remonstrating against the continuing repression of our compatriots back home, yet we have no qualms whatsoever thinking about tinkering with these same notions within our exile community- a community which our leaders boisterously tout as being a “perfect democracy” (Mangtso Yangdhakpa). It is not difficult to see the hypocrisy inherent in such an enterprise. The fact that the ideas of human rights and democracy originated in the West is no more than a historical coincidence. Given the right socio-political and economic circumstances, these ideas could have taken root anywhere in the World, for they represent those basic human aspirations, which are universal and common across all cultures and civilizations. One does not have to go too far back in history to grasp this; Arab Spring, which swept across the Middle East (a region previously perceived to be ill-disposed to democratic movements) from 2010-2011 onwards, makes it sufficiently clear. What I am trying to say is that citing the foreign origin of notions of democracy and human rights to chip away at their inalienable core is tantamount to taking the first step on a very slippery slope to a majoritarian tyranny. It would, no doubt, be a highly paternalistic and a relatively benign tyranny in our case, but it would be a tyranny nevertheless. Thus, in the interest of our democratic ideals, I think our exile administration should stop partaking in futile and often counterproductive exercises to induce Tibetan netizens to limit their online parleys. Not even the most powerful states in the world are managing to regulate the Internet and what people get up to on it; so Dharamsala should not put its largely positive international reputation at peril by venturing into that murky territory. Besides, despite the carefully worded disapprovals from our exile administration, I am quite certain that most of those Tibetans who use the Internet to make their views public will keep doing so, and now with more vigour than ever. I share the concern that many of us have about people abusing the freedom afforded to them by the Internet for rabble-rousing and sensationalising issues beyond their pale, but I also think that such few instances must be tolerated as a necessary evil of instituting a genuine and meaningful democracy. What is reassuring is that whilst the Internet can be employed to spread misinformation and to make unsubstantiated claims, it, being a great leveller, can also be used to earnestly challenge them through rebuttals containing verifiable evidence to the contrary. Young Tibetans frequenting social media sites and blogs are doing so more often than we care to imagine. We must understand that debates and discussions that occur within a society are rarely contests between out-and-out truths and blatant lies; the situation is usually far more complicated. Therefore, as renowned British political philosopher John Stuart Mill has argued, there must be an unlimited freedom of expression and discussion in a society because a silenced opinion, no matter how erroneous it appears on the face of it, “…may, and very commonly does, contain a portion of truth, and since the general or prevailing opinion on any subject is rarely or never the whole truth, it is only by the collision of adverse opinions, that the remainder of the truth has any chance of being supplied.” In other words, most claims contain at the very least a sliver of truth, and since no one has an absolute monopoly over the whole truth, suppressing them is akin to denying the masses an important “fragment of wisdom”. Thus, if the current Kashag is truly committed to transparency and accountability in the governance that it seeks to provide (which I believe it is), and if our Parliament takes its foremost duty to prevent executive excesses and abuse of power (if and when they occur) in all its seriousness, then both these premiere institutions of our exile democracy should constructively (and regularly) engage with dissenting voices among us and strive to entertain criticisms of all shades, including those emanating from online debates and discussions. A democratic society, as they say, is only as free as its fiercest critics. So, instead of viewing criticisms as threats, the CTA should rather perceive them as opportunities to enhance its democratic credentials, and, most importantly, to bridge the widening gap between itself and certain segments of our society. As far as I am concerned, if the Kashag fails to issue timely clarifications and rationales for statements and actions on its part, which raise eyebrows in our community, and if our Chitues do not take the former to task for that, then our establishment is as much, if not more, responsible for the resulting confusion and festering disharmony in our community as those individuals who, in the first instance, present embellished accounts and speculative critiques of those seemingly dubious statements and actions. Of course, some ideological differences are inevitable since the official policy pursued by the CTA remains a major flashpoint within our exile community. But, despite the contentious nature of debate on this issue, even the most vocal critic of this policy will concede that if a referendum were to be conducted in exile today, an overwhelming majority will vote in favour of its continuance. (Obviously, the verdict from inside Tibet is impossible to predict; Judging by the eclectic tone of testimonies that many of the self-immolators have left, it looks like it could go either way.) Additionally, the Tibetan Parliament has, in the recent past, endorsed the current policy through at least two unanimously passed resolutions, and it continues to support it. The point I am trying to make is that the only way individuals and groups espousing alternative political goals and visions can hope to inflict any realistic change in the current policy of our exile administration is by making judicious use of our existing democratic institutions. This will entail working with and from within the CTA, not against it as they seem to be doing most of the time. Just having yearly conferences and gatherings, and episodically crying foul from the sidelines will not suffice. If these individuals and organizations are genuine in their quest, they must, sooner rather than later, start grooming their own Chitue candidates, who, in turn, should seek direct democratic mandate from the people for the political vision they champion. Like any other probable candidate, they must make their case before their constituents at the grass root levels and run for the Parliament. Only if and when their candidates are elected as Chitues can they have any realistic influence over important policy deliberations. Correspondingly, we as a society must ensure that these individuals and groups continue to have an equivalent stake in our CTA-led exile movement. Rather than deliberately alienating them like we have so often done with nonconformists amidst us and, thus, undermining the integrity of our freedom movement, we must at the very least furnish them with proportionate space in the public domain to air their views without any fear of popular backlash. And they must in turn strive to accomplish their ends within our existing democratic institutions rather than habitually operating outside them. I say this because these CTA institutions and democratic ideals they represent are the only potent tools we have in our struggle against the might of the Chinese state. And if they keep going unused and unexplored, our movement might soon lose the impetus currently being provided by the central authority in the form of the CTA, or worse break off into various lesser movements with a mishmash of goals and agendas before completely fizzling out. Such an eventuality would indeed be very unfortunate. “But what about the all-important unity of our exile movement?” I hear you ask. The answer to this question, I think, depends largely upon how we define unity. 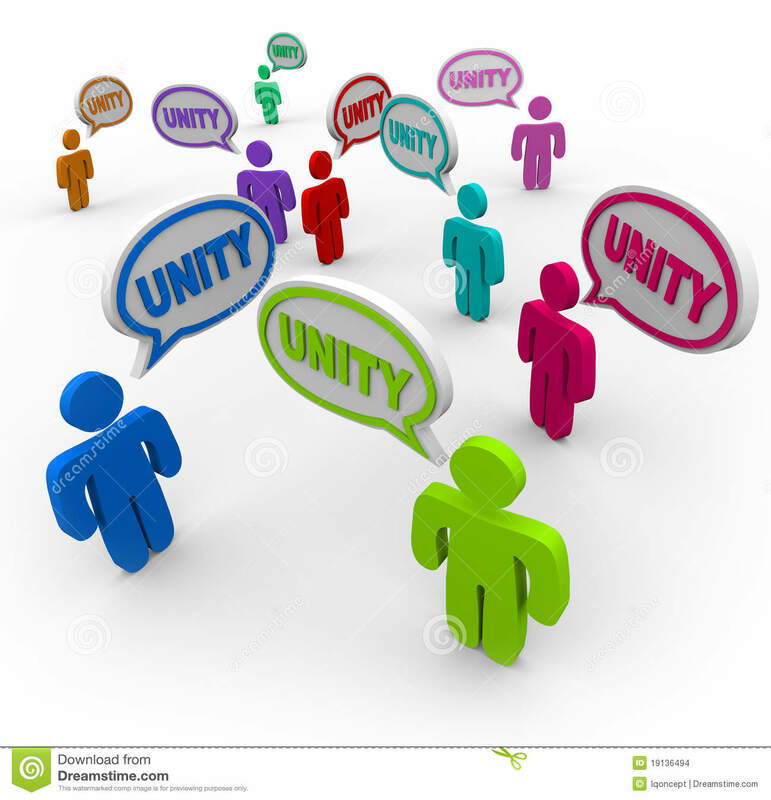 If by unity we mean unanimity, homogeneity and absolute conformity of thoughts and actions then that kind of unity will never exist in our community; it never did. In fact, I do not think such unity exists anywhere outside North Korea today. But if we describe unity in terms of our Tibetanness, in terms of our absolute adherence to non-violence in our struggle, in terms of our unbreakable spiritual and/or emotional connection with the ultimate symbol of our nation i.e. His Holiness the Dalai Lama, and most importantly in terms of our common sentiment of sadness and solidarity for our compatriots enduring unspeakable suffering back home, then I can say with utmost confidence that that kind of unity not only exists in our community amidst all the ancillary differences that I have touched upon, but is growing in strength with each passing year. One only needs to make a slight change in ones perspective to see that things are not as apocalyptic as some may have us believe. Unity of the latter type does and can definitely coexist alongside dissenting views on various issues within our exile movement.